Stanford has dominated UCLA during the last seven games. When UCLA plays Stanford this weekend, it looks to snap a 7-game Stanford win streak. The Bruins have been absolutely dismantled in recent attempts vs. Stanford. According to ESPN.com's Ted Miller, Stanford has outscored UCLA 221-96. 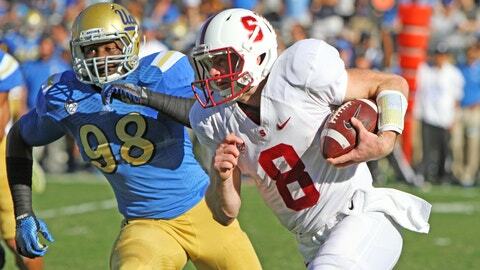 UCLA's worst Stanford loss was 2010, under UCLA coach Rick Neuheisel, when Stanford won 35-0. UCLA kept it close in 2012, however, losing 27-24. Last season in Pasadena, Stanford won 31-10. UCLA still controls the overall head-to-head, 45-38-3. During Stanford’s 7-game win streak over UCLA, Bruins have been outscored, 221-96.